March 19, 2013  Anthrax has long been considered one of the most likely weapons a bioterrorist might use. 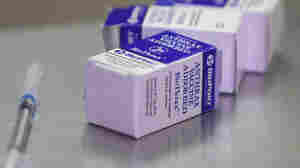 Some researchers think the vaccine should be tested on children to find out if it would be safe to use in an attack. But a presidential bioethics commission says that first, researchers will have to show that children would face no more than "minimal risk." January 3, 2012  The American College of Physicians urges internists to take cost-effectiveness into consideration when making decisions about patient care, triggering a debate.